Shopping for a suppressor can be challenging. There are more new designs and different choices on the market now that ever. But, knowing what to consider will make it easier to pick from among all the new technology and sometimes complicated options. 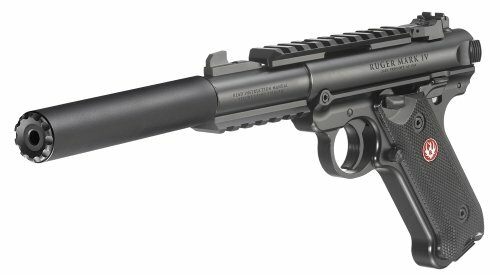 I did not see an isle at SHOT Show for the last few years that did not have at least one company showing off their new suppressor designs. But, before you start down the path of silencer ownership, there are a few boxes to check off the list. First, make sure that you are aware of the rules for your state, in addition to being 21 or older and not a convicted felon. Most, but not all, allow suppressor ownership and use for hunting, but this is definitely an area where you want to doublecheck the local laws. Also, be prepared for a really long wait after buying your suppressor and paying for a two hundred dollar tax stamp on top of any other costs. The first big choice is whether to go for the Form 1 or Form 4 route. Form 1 is for building your own suppressor. This is nice if you know exactly what you want and have access to a machine shop or a really decked out garage. Form 4 is the most common option, as that is what allows someone to purchase an existing silencer from a dealer. It is possible to buy a used suppressor, but the ATF paperwork and tax stamp still apply, so there is not much of a used can market out there. You may also choose to buy your new suppressor personally or as part of a trust. The easiest option that I have found, especially after the changes to the rules with ATF 41F, is to check and see if SilencerShop has the can that you want. They have really been working hard to get things organized with the ATF and local dealers to make the process about as easy as it is going to get. The next big decision to make is caliber. 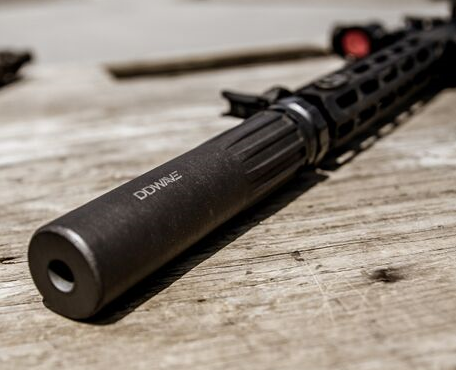 For many folks, a rimfire suppressor is the gateway to the world of quiet. They are relatively inexpensive and just plain fun to shoot off of both rifles and pistols. For centerfire cartridges, pistol cans usually have some flavor of recoil booster, while rifle cans do not need them. This extra part allows the barrel to tilt more reliably, even with the extra weight of the can on the end. When buying a can, do keep in mind that it is generally possible to shoot smaller bullets through a larger can. So, a 223 rifle might often work with a 308 silencer. The threading on the ends of barrels can vary, which limits how well this works on direct thread suppressors. 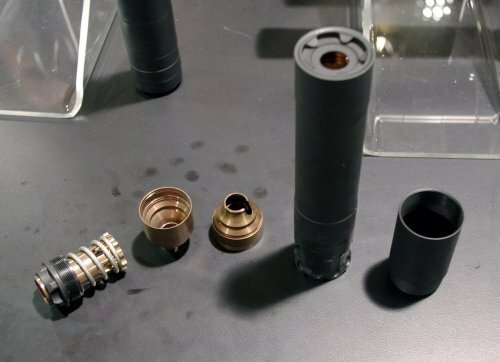 Silencers that mount to a muzzle brake or flash suppressor often make this easier and the muzzle attachments are usually standardized by brand. Some cans are designed to “reflex mount” or extend backward, around the barrel, but these are currently less common designs and can require special adapters. One thing that differentiates suppressors across the field is construction techniques. The more traditional cans are made of stacked baffles held inside a tube, usually by screw on endcaps. This is the tried and true way of doing things and makes for silencers that can be taken apart and cleaned. Some newer designs eliminate the outer tube by using baffles that screw together in a long row. Other manufacturers will use a set of welded baffles, either with or without an outer tube, that cannot be disassembled and messed with by the owner. 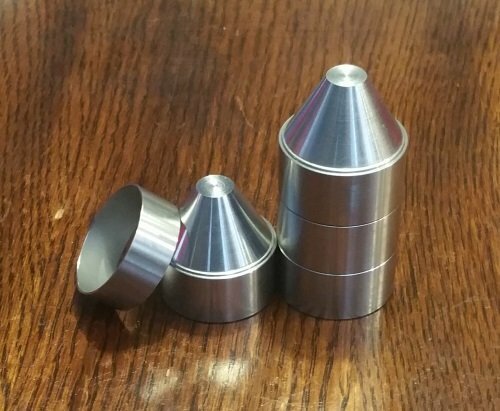 Other cans use a monocore design where the entire baffle stack is machined from a single piece of metal. Some newer designs are 3D printed, which has the potential to allow designers more control over the strength vs. weight tradeoff. There are even a few integrally suppressed options such as Silencerco’s Maxim 9 pistol or Ruger’s Silent-SR 10/22 Takedown barrel. Which design is “best” or “quietest” is a never-ending debate and can come down to tone as much as overall sound volume.